Modern gentlemen take note. 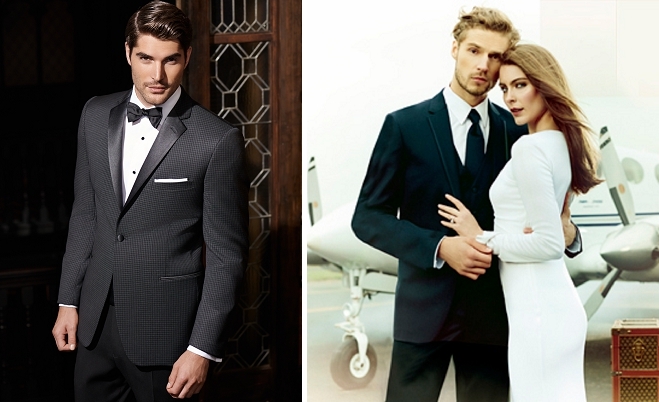 The experts at Savvi Formalwear break down today's trends and how to ensure the best fit. The evolution of men’s tailored clothing over the last three years has been dramatic. Gone are the days of broad shouldered jackets and pleated trousers. The look of today is far more tailored, featuring soft-shouldered coats and tapered trousers, eliminating the full and blousy look. Below we're breaking down two of the most popular styles and how to ensure the proper fit. A true slim fit jacket will fit 1.5” shorter in overall body length, leaving a gentleman’s derrière partially exposed. The coat sleeves should extend to the break in the wrist, allowing the wearer to show ¾” of shirt cuff. Fullness in the sleeve is no longer on-trend, so a well-built gentleman’s shoulders should extend just beyond the natural shoulder of the coat. On a two-button jacket, it is only appropriate to button the top button of the coat – the bottom button should always remain open. Consistent with the jacket, the trousers will be far more fitted through the thigh, knee and cuff. While fitted, it is important that the trousers do not pull across the hip to the extent that it distorts the pockets. Slim fit trousers are tapered enough at the cuff that they generally ride approximately ½” above the top of the shoe. Another popular silhouette in menswear is the more conservative Modern Fit. Modern Fit jackets will feature more suppression through the waist than traditional men’s tailored clothing and the coat will be about a ½” shorter in body length. These updated looks feature a natural shoulder, further enhancing the natural-fitted look. Modern fit trousers are far less extreme in styling, offering a slightly more full thigh, knee and cuff dimension. Men’s trousers can typically rest ½” below the top of the shoe in back, creating a minimal “break” in the cuff. Whether your preference is slim or modern, the look of today’s men’s tailored clothing has changed for the best, offering a far more handsome silhouette for men of all shapes and sizes. Let a professional assist you in obtaining the perfect look. 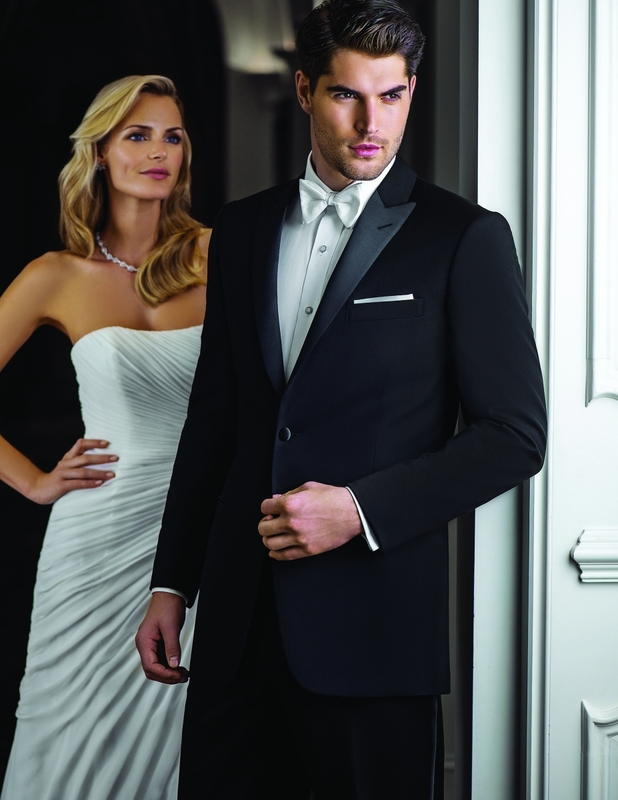 Savvi Formalwear is a premier provider of men's tuxedos, suits, and formalwear for weddings, proms, college formals, or any black tie affair. 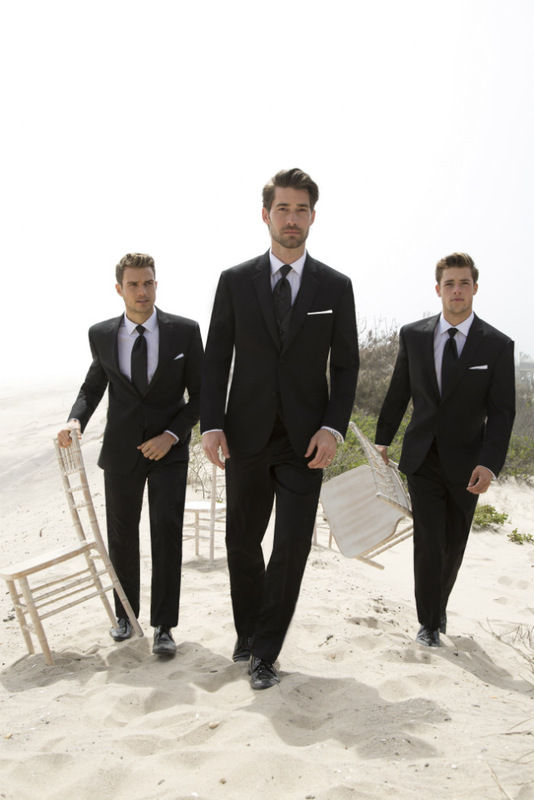 Visit one of their nationwide locations to rent or purchase your tuxedo or suit today!